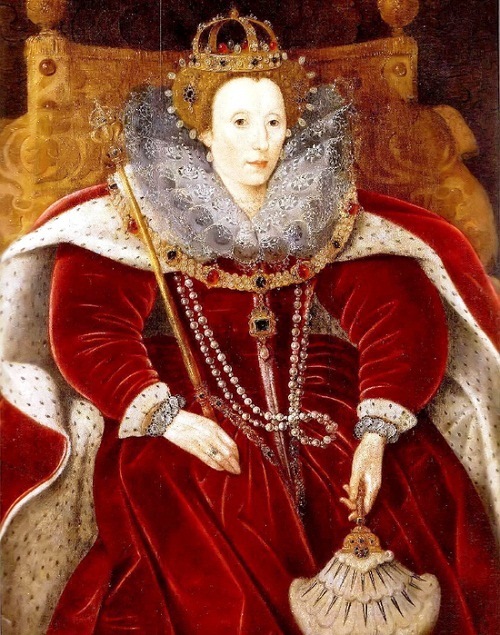 The Shakespeare sonnets involve three real-life individuals: the author, Edward de Vere, Earl of Oxford; the friend, Henry Wriothesley, Earl of Southampton; and the dark lady, Queen Elizabeth I of England. 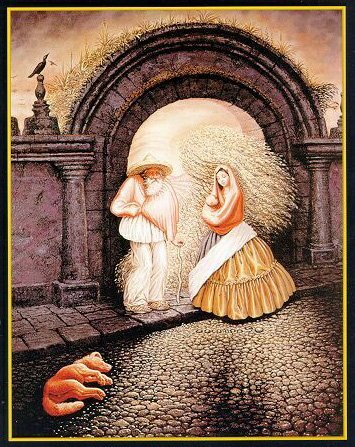 There is a fourth character [the “rival poet”] who is not a person but, rather, Oxford’s pen name — “Shakespeare” — which he can attach publicly to Southampton while he himself must remain silent. 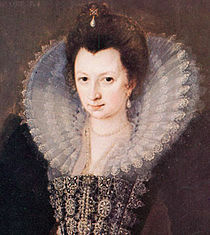 Oxfordians have had many candidates for the Dark Lady, but this is only because some continue to view the Sonnets as recording a “love” story rather than a political story involving Southampton’s role in the “succession crisis,” which led to his death sentence as a traitor followed by the Queen’s sparing of his life, and, after a confinement of more than two years in the Tower, his release and pardon by King James. 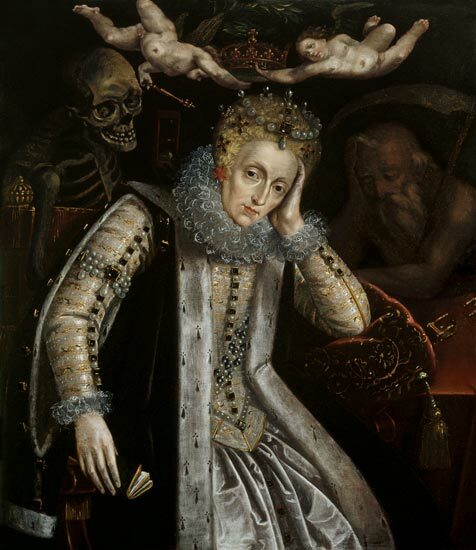 Once this context of the Sonnets is perceived, it becomes immediately clear that the so-called dark lady must be Elizabeth, who was only “dark” or “black” because of her negative view of Southampton — her imperial “frown” that cast its shadow of shame and disgrace upon him. 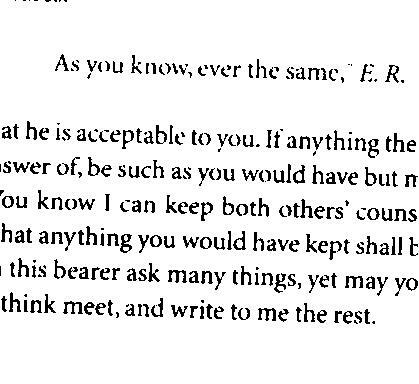 If in fact Edward de Vere is writing these words, it’s a given he’s quite aware of referring to the Queen by means of her motto. 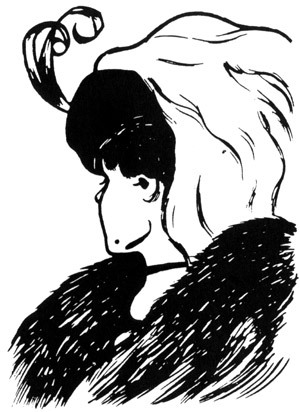 Oxford knew many things about his sovereign mistress, without question, and was incapable of using her motto without doing so deliberately. 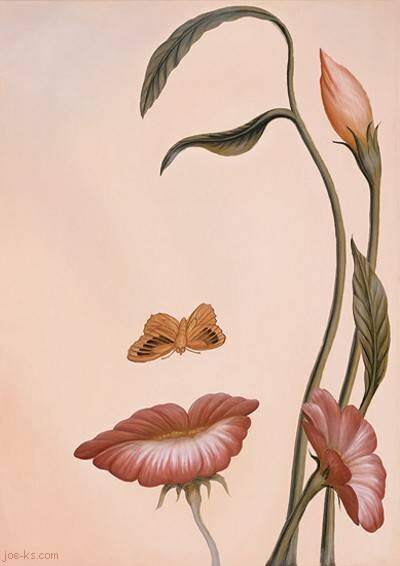 He was recording her presence in the Sonnets and it was intentional. 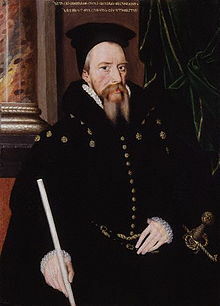 During the 1570’s until 1583 the Lord Chamberlain’s Men under the Earl of Sussex brought play after play to the royal court, indicated by the keepers of the records. 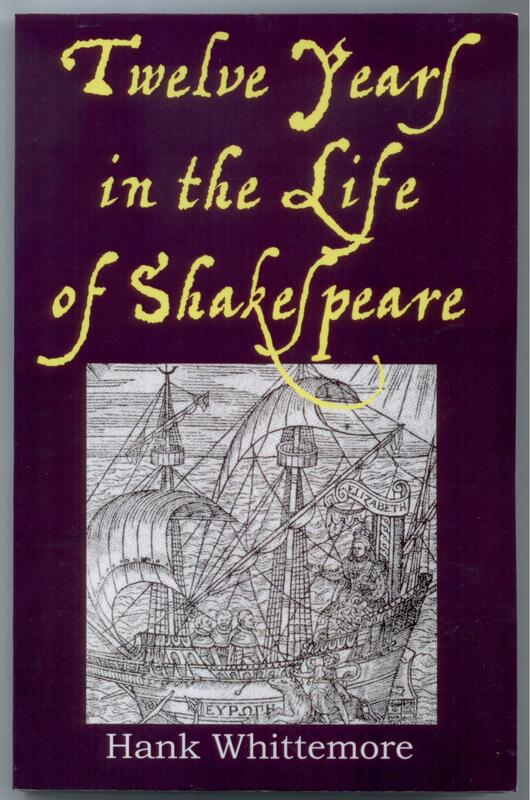 Many of these were identified by Eva Turner Clarke in 1931 as early versions of dramatic works destined to be revised and issued, under new titles, as the works of “Shakespeare” in the 1590’s. Ms. Clarke supported her identifications with extraordinary scholarship, linking events of contemporary history to characters and scenes in the Shakespeare plays. She often noticed the different stages of revision within a given play – the way archaeologists can “read history” by the fossils or the rings within a tree trunk. 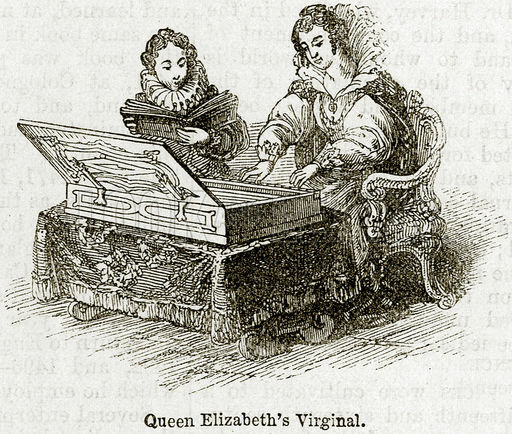 Given Edward de Vere’s intense involvement with writers and play companies, along with his great friendship with Lord Sussex, I believe that Ms. Clarke must have been largely correct: many of the first versions of future “Shakespeare” plays were initially performed for Elizabeth at Court by the Lord Chamberlain’s men under Sussex. Sussex died in June 1583 and that fall the Queen’s Men were formed with a dozen of the best actors from the different other companies. 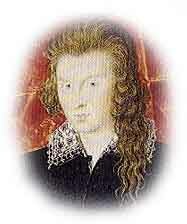 Oxford lent his secretary John Lyly as stage manager and coach for performances at court; but then the Queen’s Men, often with two separate troupes, traveled around the countryside – often performing plays of royal history, geared to rousing patriotic fervor as England prepared for invasion by Philip of Spain and his armada. 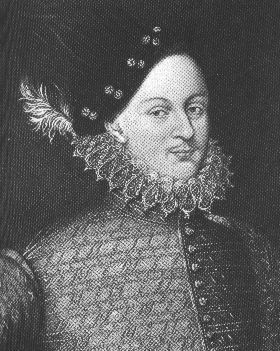 Now that scholars are becoming more aware that early versions of Shakespearean history plays were performed by the Queen’s Men in the 1580’s, with titles that would remain quite similar, the next logical step is to see that Edward de Vere – despite his involvement in companies under his own name – was actively behind first the Chamberlain’s Men under Sussex and then behind the Queen’s Men under the patronage of Her Majesty and Francis Walsingham of the secret service. 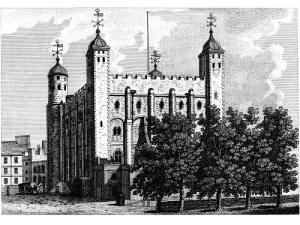 The new Lord Chamberlain’s company gave its first performances at court in the Christmas season of 1594. It would become known to us as “Shakespeare’s Company,” given that its actors gave the initial performances of the vast majority of the Shakespearean plays. 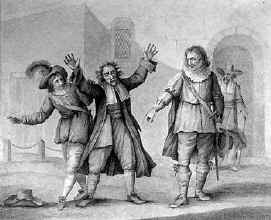 In government records for March 1595, actors Richard Burbage and Will Kempe along with “William Shakespeare” are listed as payees of the new Chamberlain’s Men — collecting payment for those court performances the previous December. 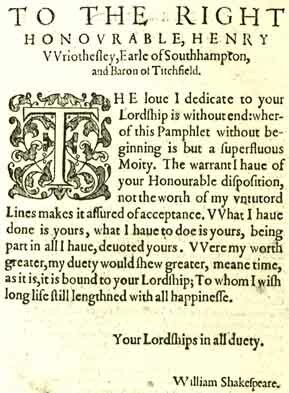 The inclusion of “Shakespeare” in that record is highly suspicious, however, since the name had just been introduced as a poet in the dedications of Venus and Adonis (1593) and Lucrece (1594) to Southampton, and because the name would never again be listed a payee for the Chamberlain’s Men. The Lord Chamberlain was Henry Carey, Lord Hunsdon, followed by his son George Carey, Lord Hunsdon – but these were nominal figures when it came to the running of the company. The logical conclusion is that Oxford himself was the guiding hand of “Shakespeare’s Company” – not because of his title of Lord Great Chamberlain, but, rather, because this new group was an extension of the previous companies, first under Chamberlain Sussex and then the Queen’s Men, with Oxford having used them as the primary vehicles for his plays. This perspective on the history requires taking that aerial view and connecting the dots to see the larger picture – which is, to put it simply, that Edward de Vere was the guiding hand behind the three great acting companies of the Elizabethan reign, all three of which were linked together to produce (1) the renaissance of English literature and drama in the 1570’s and 1580’s, followed by (2) the phenomenon of the Shakespeare works in the 1590’s. Shakespeare’s company, the Lord Chamberlain’s, put on some of the most dangerously political plays of the reign, yet it never got in trouble with officialdom. Quite obviously it was receiving protection from on high. 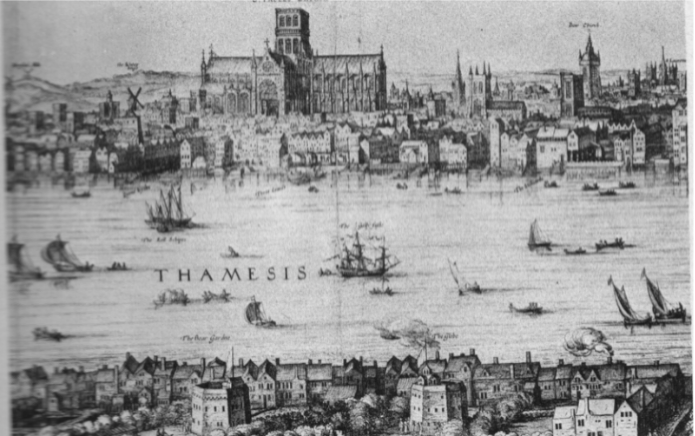 In the 1590’s the government was moving rapidly to take control of the theater – by limiting the play companies in London to two, by restricting the use of playhouses for the drama to two, and by exercising increasingly heavy censorship that led, for example, to the bonfire of books in 1599. 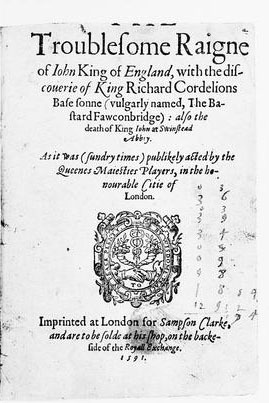 It was Shakespeare’s company, also, that performed Richard II at the Globe on February 7, 1601, for conspirators of the Essex Rebellion, which erupted the following morning – yet the actors were let go after cursory questioning and the author was never summoned at all. Meanwhile Oxford had withdrawn entirely from court life after 1590. 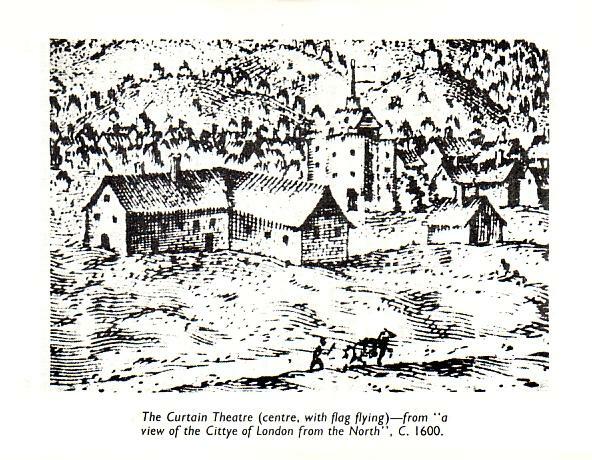 Remarrying in 1591, he and his new Countess (Elizabeth Trentham) moved to the village of Stoke Newington, just north of Shoreditch – the center of the London theater scene, where the Curtain playhouse would become the premier venue of Shakespeare’s Company. 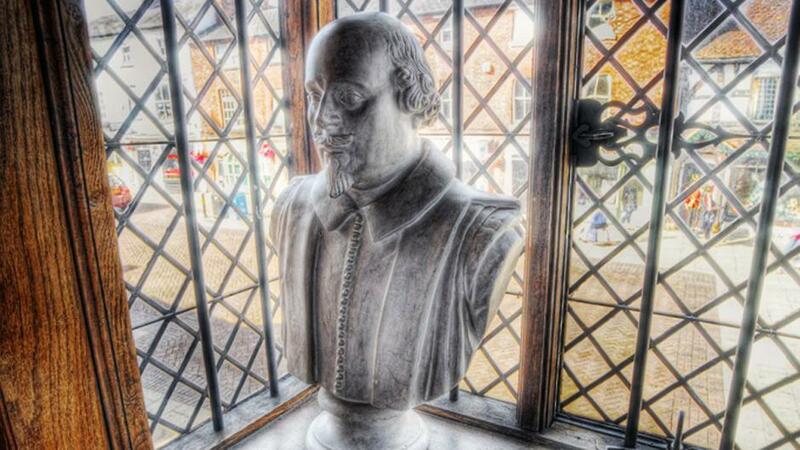 “Thus we see him moving quite close to the ‘Shakespeare’ work, but never in it,” J.T. Looney wrote in 1920, describing a man who had become virtually invisible – and yet a man who, in the view here, was singularly responsible for the eruption of the Shakespearean plays in public performance, igniting the explosion of theatrical activity that remains a grand chapter, perhaps the grandest of all, in the history of the stage. 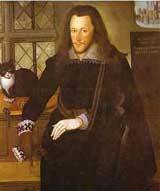 Edward de Vere emerged briefly from his retirement to serve as highest-ranking earl on the tribunal at the trial of Essex and Southampton on February 19, 1601. 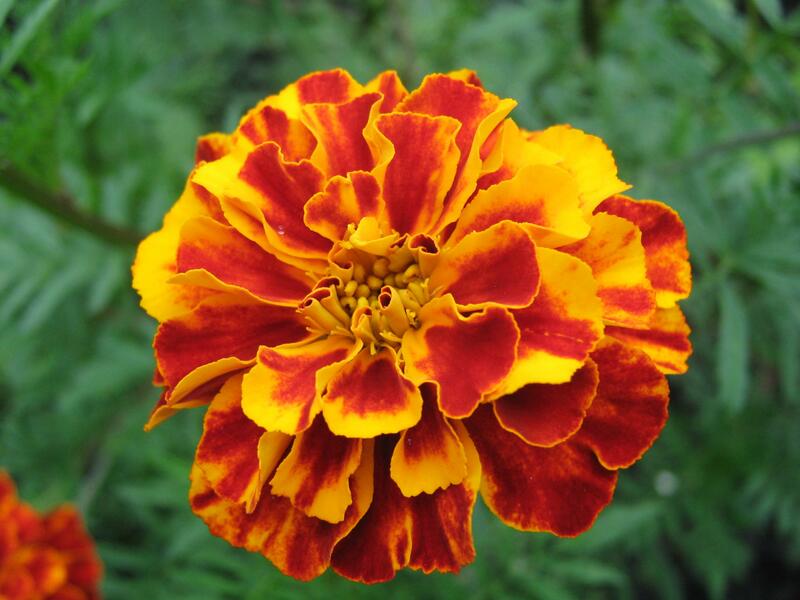 He had no choice but to join the twenty-four other peers in finding both earls guilty of high treason and condemning them to death. 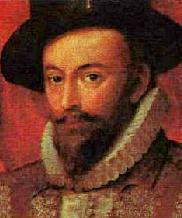 Essex was beheaded six days later; but Southampton, the “fair youth” of the Shakespeare sonnets, unofficially had his sentence reduced to life in prison and, two years later, in April 1603, King James granted him his freedom with a royal pardon. Will Kempe! 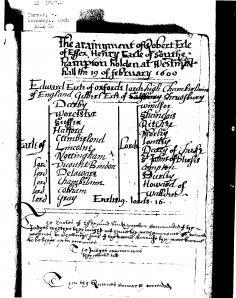 This was the same man listed back in 1595 as a payee of the new Lord Chamberlain’s Men, with Richard Burbage and “William Shakespeare” — and now as the Elizabethan reign draws to its close, Kempe is acting in the company patronized by the earls of Worchester and … Oxford! I’d say that’s a fitting way to conclude this attempt to “connect the dots” and glimpse a larger picture. 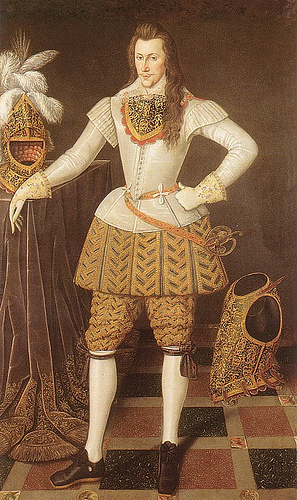 All along, just beneath the surface, or standing in the wings, we find the figure of Edward de Vere, Earl of Oxford, a man of the theater all his life.